2019 is an important year for electric vehicles. Many major car brands have either already released, or are set to unleash their newest models into the world of eco-friendly driving. From the Jaguar I-pace to the Tesla Model 3, here are the electric cars you need to watch in 2019. There are some exciting new electric cars on the market in 2019. Improvements in performance and design as well as new available features are set to make this an exciting year for those on the lookout for an eco-friendly upgrade. While there may still be concerns about how ready UK roads are for an increasing number of electric-reliant vehicles, it’s clear that the journey towards greener roads will in no small way be paved by today’s offering of electric cars. And for all those dealers and motor traders among you, now is as good a time as any to start gearing up your operations and services – including your motor trade insurance of course! – to factor in the increasing number of EVs on the market, this year and beyond. The recent release of Jaguar’s new electric ‘I-PACE’ is something most will be aware of. And for good reason too. Rather than offering a respectable alternative to its fossil fuel powered predecessors, it strives to outperform them and offer consumers an EV that makes a statement. Critics are saying it’s the first electric car to really take on Tesla’s Model X and come out looking strong. Starting at just £63,000, compared to a minimum of £79,000 for the Model X, this is certainly a very interesting development in the car world. The luxury feel, spacious interior and 298 mile range on a full charge from the Jaguar I-PACE is something you might want to consider. It’s sure to be one of the best electric cars for sale this year. At around half the price of the Jaguar I-Pace, the Hyundai Kona Electric is considered by many to be a game changer. Offering an impressive range of 279 miles and starting at around only £30,000, it offers an affordable, practical and not-too-bad-looking electric SUV. It’s also packed full of features such as a fast charging speed and regenerative braking system, which lets you charge the battery by using the electric motor to slow the car. This is Mercedes’ first car in its critical EQ electric range. It’s set to compete against the Jaguar I-PACE and the Tesla Model X when it is released later this year. As well as offering a great range of 280 miles on a full charge and a fantastic charge speed, filling up to 80 per cent from flat in just 40 minutes, the Mercedes EQC is also incredibly speedy at 0-60 in just 5.2 seconds. From around £55,000 to £75,000, this stylish and futuristically elegant model from Mercedes does however come in at a higher price point than others in this list. The BMW i3 continues to impress with its latest model. And many are still taken by its futuristic design – fitting for its prominent place in the market as a pioneering EV. Offering great specs and tons of features, it comes with a 42 kWh high voltage battery and is fully chargeable in less than 6 hours. A range extender is also available for an added sum for those who to truly want to maximise their travel capacity. There’s been huge talk about this vehicle lately. 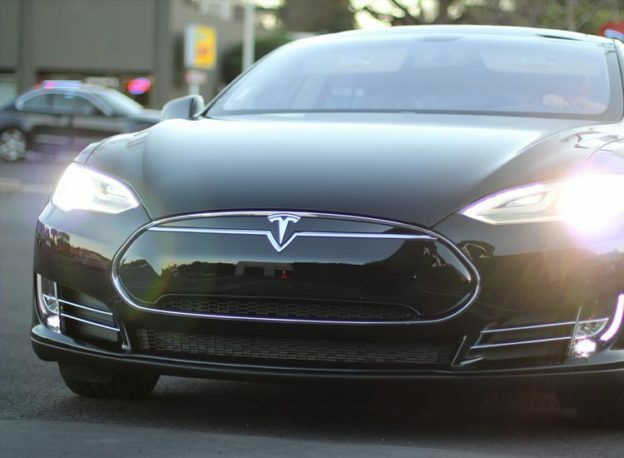 Tesla’s third model to reach the UK is an important event in electric car news. Smaller and cheaper than the Model X and Model S but equally stylish, forward-thinking and high performing, there are many eager UK customers already awaiting the mid-2019 arrival of this 2019 electric vehicle. Despite the long period of waiting before it will be widely available in Europe, this car is set to be a massively popular compact saloon. Full of futuristic tech and autonomous functions, it’s worth a test drive at least, don’t you think? To find out how you can protect your business with motor trade insurance suited to a new stock of EVs, get in touch with ChoiceQuote today. The British have always loved the Golf. But how will the new electric powered version of this historic vehicle go down? Many critics believe the dependability and solid feel of the combustion powered models have carried through, and the new e-Golf will offer customers great value just as its predecessors have done. Starting at £33,240 and offering a cheap to run and comfortable driving experience this could be a clear winner of the mid-range category in 2019. The Tesla Model X is still one of most successful electric cars to be released. It was perhaps the first time the mass market took notice of EVs as having the potential to offer strong competition for combustion fuelled vehicles, rather than just an interesting alternative. It’s perhaps a true measure of this car’s strength that car brands such as Jaguar have used the Model X as a benchmark for what makes a good e-SUV. But what do we think of this model with so many great new vehicles entering the market this year? We’re still impressed! The original Nissan Leaf was one of the most popular electric vehicles among customers when it was first released. This was largely due to the small running costs and overall convenience of home charging – making it suitable for many households. Drivers also loved the practicality of the model, functioning as a good-sized five-seater that families could easily use as part of their daily lives. Available in 2019 is the new generation of Nissan Leaf, and we’re now looking at greater range, faster drive speed, added features and a slight facelift for good measure. As technology improves, the capabilities of electric cars will only increase. Whether it’s the distances these EVs can travel between charge points or their sheer horse power, it’s an exciting time for the auto industry indeed. Motor traders as well as drivers will want to take note of this and how rapidly the eco-friendly trend is spreading – as evidenced by major car brands releasing exciting models onto the market this year. If you’re looking at staying ahead of the curve, it’s well worth paying close attention to how these models perform this year. Whether you’re thinking about stocking electric vehicles in the coming months or modifying your operations so that you can better service and accommodate these new additions to the auto landscape, don’t forget that comprehensive motor trade insurance will continue to offer your business that important layer of security as the industry evolves. If you’re searching for effective motor trade insurance to cover your activities in 2019, get in touch with ChoiceQuote today.